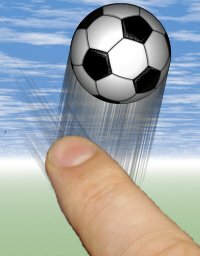 Soccer Bounce is a game where you try to bounce a soccer ball as many times as possible with your fingertip. The lower you hit the ball, the higher it will bounce. In challenge mode you can send your score to see your global rank!